Dual Shield 700X is a low slag, high deposition efficiency flux cored wire designed to join heavy structural steel components. 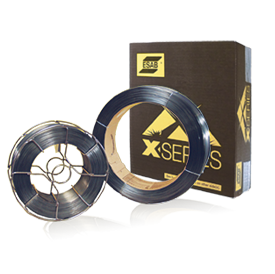 Designed for flat and horizontal position welding using CO2 shielding gas, this X Series wire provides high deposition rates, high efficiency, and excellent performance. Additionally, weld beads have a flat profile and a thin slag cover that is easily removed. Applications include earth-moving equipment, heavy machinery, and large steel components.